The 2014 Hyundai Tucson is a formidable player in the crowded compact-SUV field. It not only holds its own against older, more established names (think Honda CR-V), in many ways it sets new standards for styling, price and technology. While the Ford Escape still holds an edge in technology, the Tucson scores big in just about every other category that matters, including an amazing warranty. Love my Hyundai Tucson! Three years and going strong! I have had my Tucson for 3 years now and I still love it just as much as the day I got it. I bought it used and the only issue I have ever had with it is the tire pressure sensor stays lit at all times. I have had it checked, tested and replaced (under warranty) but it is still there. However, this is the only issue I have had since day one. It rides smooth, gets decent gas mileage (about 25-28 mpg) and is a car I can grown into seeing as how there's enough room for up to 3 car seats in the back. My favorite part? The seat warmers. If you unlock doors and are delayed getting in car, doors automatically relock. My Hyundai Tucson is a very reliable car. I bought it in 2015 new and have had no problems other than wear and tear. I. E. Brakes, oil changes etc. It is a good size for me with lots of room for anything I want to transport. The back seats fold down for additional space if needed. It gets good mileage also. I wouldn't get the cloth seats again because they show stains. The car rides a little bumpy but not a bad ride at all. The Hyundai, Tucson is great!! 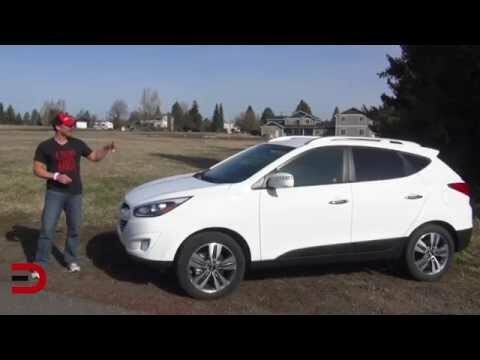 2014 Hyundai Tucson Limited Review and walkthrough. Wifes Brand New Car!